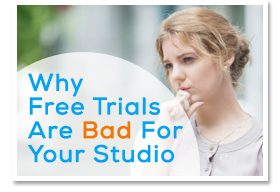 Skyrocket Your Studio Retention Rate! Get Your Students Coming Back For More! 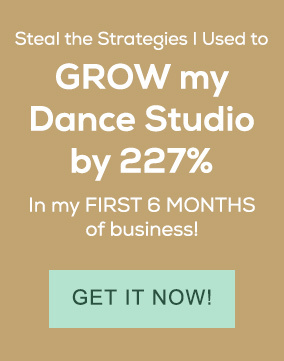 Most dance studio owners will tell you their main goal is to get more new students. Of course, the more students they have the more profit they’d stand to make. It makes sense. However, I personally believe that the main goal of any studio should be to retain the students they currently have first. 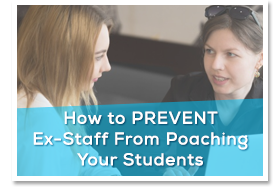 You’ve already spent the time and money to get these students through the door (and it always cost more to attract a new student than to keep one), so it’s important to not let those efforts go to waste. Now, I’m not saying it’s not important to get new students. On the contrary, it should be a huge focus of any dance studio. However, if you only focus on getting new students, but each one leaves after a few weeks, then you will always be starting from scratch. You will never actually make money, because you’re spending it on getting these new students that don’t stick around long enough to make a difference. 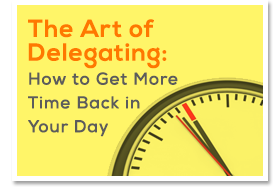 When you retain your existing students and get new students, that is when growth and profit happens; and that is why retention is just that little bit more important. So, how do you get students to stick around and come back to your classes – term on term, year on year? 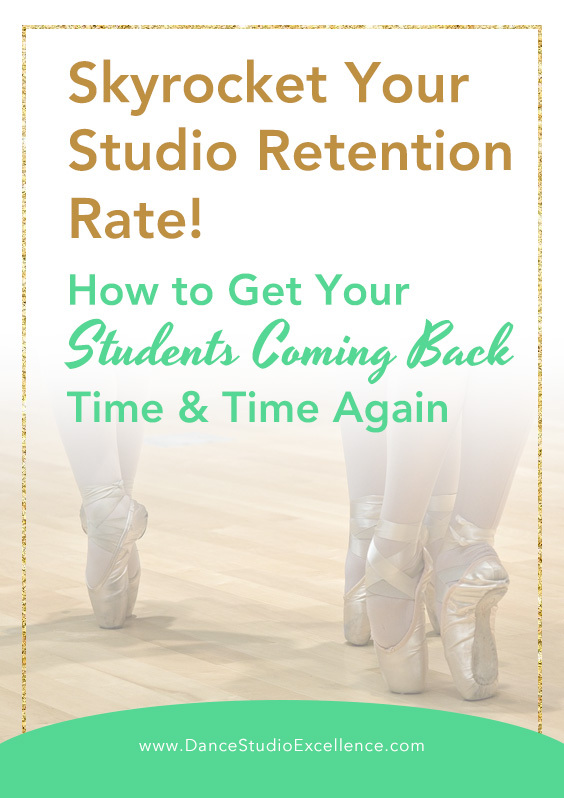 There are a lot of aspects that go into student retention, but over the years I’ve found the following to make a huge difference in my own studio. We all have our own training and experiences as a dancer. Some of us were trained decades ago, by some of the best instructors in the world! So it’s understandable that we may want to teach our own students the same way we were taught. After all, it worked for us, right? Unfortunately, what worked for us “back in our day” may not work for your students today. I’ve seen many stubborn studio owners insist on teaching what they want to teach, following outdated syllabi and methods. They refuse to update their their teaching styles, causing their students to search for it from other studios. 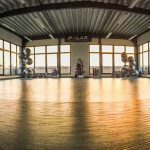 With the popularization of shows such as So You Think You Can Dance and Dance Moms, people are joining classes based on what they’ve seen on TV. They don’t really know (and often don’t care about) what dance actually is. 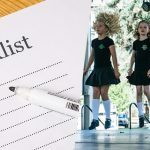 Whilst we certainly don’t want to encourage an incorrect view of dance, or lead a misguided dance education, we do need to tweak our classes and choreography to include more modern aspects of dance that the younger generation are familiar with and will enjoy. You may luuuurve Bob Fosse (so you should!) and have fond memories of doing that style back when you were a student. But if your Junior Jazz class thinks it’s weird and boring, then getting them to do “Rich Man’s Frug” for the recital is definitely a bad idea. Get to know your students and understand the generation gap (it hurts I know). Give them a strong, technical dance education, but also give them choreography and exercises they will enjoy doing. You want them to rave about how much fun the classes are, show off some moves to their friends and, by proxy, help you to bring in more students! It’s important to select age-appropriate music that fits the style of dance you are teaching. However, for the sake of retention, it is also important to select music that your students actually enjoy listening to. To be honest, I’m not a fan of 80% of the music that are popular today. But I have a (clean) playlist filled with the Ariana’s, Beiber’s and Azalea’s, ready to blast during warm ups to get my students in the mood. It works. While my ears are bleeding, the kids are singing along, actually happy to be doing pushups to the sounds of their idols. As much as I wish it would happen, unfortunately I just wouldn’t get the same enthusiasm if I played my “Stella’s Party Hits from the 90s” playlist instead. Music plays a huge part of every dance class. It is the tool that brings a student’s motivation, drive, imagination and energy to life. When students know (and like) a song, they are more engaged in what they are doing. And next time they hear the same song play on the radio, they’ll be showing off the moves they’ve learnt in class and enticing their friends to join too! Think back to when you were a child. What was your most favorite class? What are the chances that it was also taught by your most favorite teacher? Having the right teacher is crucial for the retention of students in your studio. No matter how much experience the teacher has, how well-trained he/she is, or how fabulous your facilities are, if your students don’t like their teacher they are not going to come back. A great teacher in one class may not be fantastic in another. It’s important to assess each individual teacher on their qualities and their fit for different styles, age groups and personalities. A happy, easy-going junior teacher may be perfect for your under 10s, but not necessarily for your adult students. Likewise, a strict ballet teacher with 20yrs of experience in the Bolshoi Ballet may be a terrific match for your Senior Advanced students, but cause tears if you try to put them in your tiny tots classes. Find a teacher who has the appropriate education, but also a personality and energy that matches well with your classes and ensure your students enjoy their time at your studio. Of course, they should maintain law and order, but it should be done in a gentle way. Get a teacher who knows how to appreciate students and one who will make each student feel like a star in class. 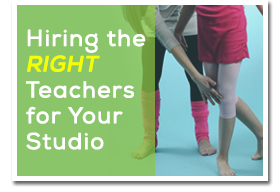 The right teacher will be an invaluable asset in your pursuit to retaining students in your dance studio. My most favorite thing to hear from my students is that “the studio is like their second home”. They feel comfortable and safe, and they are surrounded by people that feels like family. 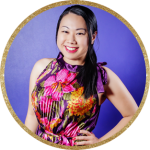 When it comes to attracting and retaining students in your dance school, the atmosphere you create within the studio is just as important as the dance training. Your students will come back time and time again if they have friends that come regularly, if they are involved in exciting events, if they feel a bond with other students and their teachers. So how do we build these bonds? Start by creating memories and experiences other than dance. Discos, excursions and parties can build friendships amongst the students outside of classes. Invite parents for a tea and cake session in the waiting area once or twice a semester to build rapport and get them chatting in a positive environment. Give out special cards to students on their birthdays, and little presents branded with your studio’s logo. For example, a special voucher that invites them to bring a friend for free to the next lesson is not only low-cost, but effective in getting more students through the door. Experiences don’t have to be grand, expensive or time-consuming. Smaller, frequent gestures will still leave a long-lasting impression on both parents and students. 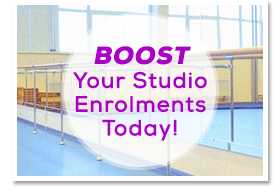 By retaining existing students, you’ll create room for more referrals, and within no time, your studio will be attracting a lot of students. Aspire to make the current students feeling happy and appreciated. Most of the times, we forgot to nurture existing clients by focusing much on attracting new ones. But it should be the other way round. Nurture what you have before you embark on attracting more students.